Thanks for the bonus tracks. Wow! Very nice. Many, many thanks. Brings back memories when I had it on LP back in the 80s. Downloaded the FLAC, but it won’t extract. Says it’s corrupted? 2. [Less likely] You’re using an outdated WinRAR version => Install the latest (stable) build. FYI, those alphanumeric strings [Checksums] below the DL links are intended to help visitors verify file integrity. Out of dozens of Hash calculating utilities (proprietary, freeware, open-source etc. ), I find HashTab to be the most convenient. Yeah mate, I forgot the minus sign, what a knucklehead I am. Thanks for the reply and thanks again for the up – You’re a legend. Thank you for Saxon Remasters! Brought back a lot of memories from vinyl issues and the 80s. A música “Let’s get crazy” parece ter uma falha após o solo, quando o vocalista canta o quarto verso! ¡Gracias bro, una de mis mejores bandas! Wow! Lo máximo y remasterizado… todo un clásico, que no se olvide tremendo disco. Actually, I don’t know about Uptobox.com because it’s unavailable in the U.S.
I’m glad you brought it up. I do remember another report about Uptobox.com being unavailable in the United States but that was a long time ago – I assumed the issue would have been resolved by now. The good news is that you can probably definitely circumvent the country (ANY country) restriction by either using a Proxy or, even better, a VPN service such as Hola. Thank you for your quick response -21grams! So, I tried 3 different proxy servers with no luck. I could clearly see that I was connected to minus21grams.net, but Firefox wouldn’t bring up your page. I also had a look at the VPN service Hola. I am using the Flagfox plugin for Mozilla which clearly shows Hola as being in Washington D.C. and the ISP as being Amazon.com, Inc. (AS14618). 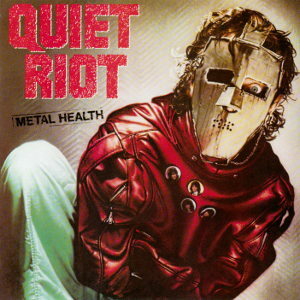 I know Hola isn’t the only VPN, but by the time I go and pay for there services, I could have just as easily bought “Metal health”. Anyway, it really isn’t that big of a deal -21grams, you still have an extensive library of great tunes that are still available. I greatly appreciate all of your time and your fantastic collection of music! That is precisely why I recommended Hola in the first place. Proxies can be tricky. They don’t always work and even when they do, often slow down your connection (sometimes to dialup internet levels! ), have lousy response times etc. VPNs are the way to go! No way my friend, that’s right in my own backyard! Trust me, Hola is the real deal. 44 million people -and counting- can’t be wrong! I’ve been using their services since last September and never had a single problem. You didn’t change the country! All Flagfox’s reading at this point is the location of Hola’s main servers/datacenter/whatever which is irrelevant. Again, pick a country, then check your IP. If you’re still seeing 173.246.192.0/19 [that’s the CIDR block assigned to Morris Broadband’s subscribers], then you haven’t configured the add-on properly. I ran a few tests to see how well the major European countries respond, measure the speed etc. All of the above worked flawlessly in every aspect, including accessing Uptobox. Aside from a browser-related warning [Google Safe Browsing was temporarily blocking the said server for *security reasons*], I was able to download the FLAC RAR within a few minutes. Thanks so much -21grams for your help and understanding in clarifying what I was doing wrong. 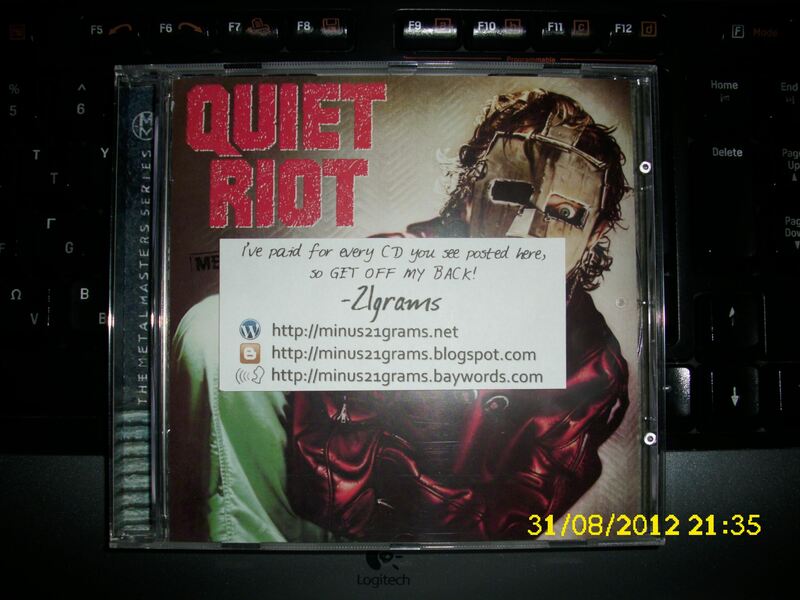 I also appreciate the classic Quiet Riot album as well!